The 201st Game of The Rivalry! The men’s Calvin vs. Hope series spans 99 years and 200 games. Hope leads the series 103-97. On the women’s side, Calvin leads the series 71-52. Gather with friends for the big game on February 2, 2019, at 3 p.m. EST. The game will be played at Hope’s DeVos Fieldhouse, but viewed all over the country! Check the map or list of locations where you can gather with friends to experience one of the greatest rivalries in college basketball! Locations will be updated as new sites are confirmed so check back if you don’t see a site near you. Interested in hosting a watch party near you? Contact us to find out about hosting a new site. Please tag @Calvin Alumni Association in your Facebook photos and use #therivalry #calvinknights #calvink4l for Twitter and Instagram. Please tag @Hope College Alumni in your Facebook photos and use #therivalry #hopecalvin for Twitter and Instagram. Through 99 years and 201 games, Hope leads the series 103-98. Just 98 points separate the teams over 200 games, a difference of only 0.49 points per game! Hope has scored 13,730 points, an average of 68.32 per game. Calvin has scored 13,632 points, an average of 67.82 per game. Calvin once defeated Hope 22 consecutive times (1969-70 until the second game in 1979-80). Hope’s longest winning streak was 10 games, from the start of 1994-95 through 1997-98 season). In 1964-65 Hope beat Calvin 104-102 in the series’ highest scoring game. The series’ lowest scoring game was a 26-11 Hope win in 1924-25. Hope was the first team to score 100 points, winning 100-90 in 1954. The most points was by Calvin - 105-71 in 1964. There hasn’t been a 100-point game since 1972 when Calvin won, 102-89. Hope’s biggest margin of victory was 54-20 in 1921-22. Calvin’s biggest margin of victory was 85-43 in 1951-52. The teams met five times in 2006-07. Hope won the series 3-2 in the most unusual way. Hope defeated Calvin twice on the Knights’ home floor and Calvin defeated Hope twice in games at Hope’s DeVos Fieldhouse. The fifth-game "rubber match" was played on a neutral floor in Aurora, Ill. with Hope prevailing 80-64 in the second round of the NCAA tournament. The teams met for the first time in the championship game of the Grand Rapids Sports Hall of Fame Classic in November, 2006 with the Flying Dutchmen prevailing 76-54 on Calvin’s home court. They met again in the consolation final of the tournament in 2009 with Hope winning 79-76 at Calvin’s Van Noord Arena. The teams have met 18 times in the MIAA tournament since it began in 1992. Hope owns a 10-8 advantage and is 8-5 when the game determined the tournament champion. In 2006-07, the Knights defeated the Flying Dutchmen in the tournament finals 78-76 at Hope. In 2007-08, Hope defeated Calvin 88-72 in the MIAA Tournament Championship game. In 2008-09, Hope defeated Calvin 69-59 in the tournament final and in 2009-10, Hope defeated Calvin 78-74. In 2010-11, Hope defeated Calvin 72-67 in the title tilt. In 2012-13, Calvin defeated Hope 77-57 in the final. In 2013-14, Calvin defeated Hope 78-53 in the championship final. In 2014-15 Calvin defeated Hope 70-69 in the title game. In 2016-17, Calvin defeated Hope 86-83 in the championship game. In 2018-19, Calvin defeated Hope 68-66 in the first round. The teams have met six times in the NCAA playoffs with Calvin winning four of the six — 92-90 ot in 1987, 95-68 in 1990, 84-79 ot in 1991 and 91-88 in 1992. Hope posted back-to-back victories in 2006 (70-67) and 2007 (80-64). There have been 12 overtime games with each team having won six overtime games. Hope coach Greg Mitchell vs. Calvin (since 2014-15) is 5-8. Calvin owned a 33-16 advantage in the 43 years of play at the Calvin Fieldhouse from the 1965-66 season through the 2007-08 season. Hope hosted Calvin at the Holland Civic Center for 51 years (1954-55 thru 2004-05), Hope owning a 31-24 advantage. Hope moved to its new Richard and Helen DeVos Fieldhouse for the 2005-06 season. Hope won the first meeting 73-55 and again in an NCAA tournament game 70-67. Hope is 12-9 versus Calvin at DeVos Fieldhouse. Calvin moved into the Van Noord Arena in time for the 2009 MIAA season. Hope holds a 9-8 edge over Calvin inside the facility. The January 29, 1997 game at Van Andel Arena in downtown Grand Rapids, a 70-56 Hope triumph, established an NCAA Division III single game attendance record with a capacity crowd of 11,442. Since Calvin began a member of the MIAA in time for the 1953-54 season it has won 31 MIAA titles while Hope has won 32 league crowns in that time. 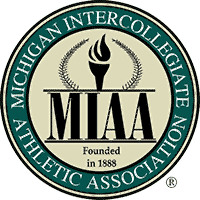 Calvin and Hope have won outright or shared 61 of 66 MIAA titles since 1953-54 with an Olivet title in 1972, an Alma/Albion co-title in 1978, Albion crowns in 1979 and 2005 and a Trine crown in 2019 marking the only five seasons that Calvin or Hope didn’t have at least a piece of the title. Through 50 years and 123 games, Calvin leads the series 71-52. The Hope/Calvin women’s basketball rivalry started in 1965 with a 49-35 Calvin victory. Since women’s basketball became an official MIAA sport in 1978-79, Hope leads the series 51-50. Since 2000, Hope holds a 37-15 series advantage. The most points by Hope in a game against Calvin was 89-51 in 2003. Calvin’s most points was 87-71 in 1984. The most points by both teams in a game was in Hope’s 88-81 win in November, 2013. Hope defeated Calvin three times during the 2005-06 season enroute to winning the NCAA Division III national championship. Two of the wins came during the regular season and the third in the championship game of the conference tournament. The teams have combined to win 32 MIAA championships through 2017-18, 17 by Hope and 15 by Calvin. The Calvin/Hope rivalry has required a coin flip on two occasions to determine the top seed for the MIAA Tournament as the two teams tied for the regular season league championship in both 2011 and 2013. Calvin won the coin flip both years with Calvin going on to win the 2011 MIAA Tournament at Van Noord Arena while Hope went on to win the 2013 MIAA Tournament, also at Van Noord Arena. The teams have been to the NCAA tournament a combined 34 times, 18 by Hope and 16 by Calvin. 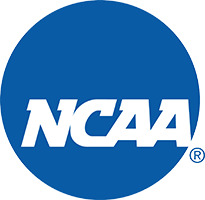 Hope’s best NCAA finish was winning the national championship in 1990 and 2006 while Calvin’s best has been playing in the national quarterfinals finals four times (2005, 2007, 2012 and 2015). Both teams have advanced to the NCAA tournament in the same year on multiple occasions (1998, 1999, 2006 and 2007, 2010, 2011, 2013, 2015, 2017), but they’ve never met. Hope is 33-17 in NCAA games while Calvin is 20-14. The fewest points by Hope in a game against Calvin was in a 73-19 loss in 1975. The fewest points by Calvin was in a 28-25 win in 1967. The teams have played each other 18 times in the MIAA tournament since 1993. Hope has a 10-8 advantage. The teams have met in the MIAA tournament championship game 11 times with Hope winning eight and Calvin three times. —Hope won 59-43 in 1995, 73-71 in overtime in 1998, 63-44 in 2006, 71-68 in 2007, 68-49 in 2010 and 62-59 in 2012 while Calvin won 67-65 in 2011 and 65-43 in 2012. Hope then won 62-59 in the 2013 MIAA Tournament final and 88-79 in the 2014 MIAA Tournament final. In 2015, Calvin defeated Hope 77-73 in the title game. Hope coach Brian Morehouse is 39-22 in games against Calvin since 1996-97. Calvin coach Chuck Winkelman was 1-6 in games against Hope. Calvin’s longest winning streak in the series was 22 games (1965-79) and the longest with Hope was nine (2000-04). Hope’s biggest margin of victory was 38 points (89-51) in 2003. Calvin’s biggest margin of victory was 54 points (73-19) in 1975. Four games have gone into overtime with Hope winning three of the four overtime games. Hope won 55-53 in 1995. Calvin won 63-58 in 2007. Hope triumphed 63-55 in 2017 and Hope won 63-58 in 2018. 31 of the games have been decided by five or fewer points with Calvin holding an 18-13 advantage in those games. In one-point games Calvin leads 3-1 (59-58 in 1981, 61-60 in 1984 and 56-55 in 2011 with Hope winning 70-69 in 2018). The late Karla Hoesch Wolters, Hope Class of 1973 and a former member of the Hope College and Calvin College Kinesiology faculty, coached Calvin to the 1979 MIAA championship. She was 3-0 in games she coached her Calvin teams against Hope from 1977-79.